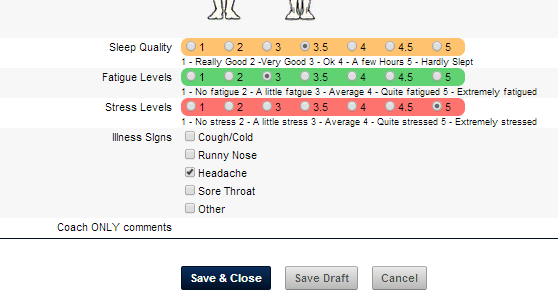 The Image in the example here shows that the Athlete called "Testing Athlete2" has been set up to be a Coach of Group, just to access specific Resource Information. 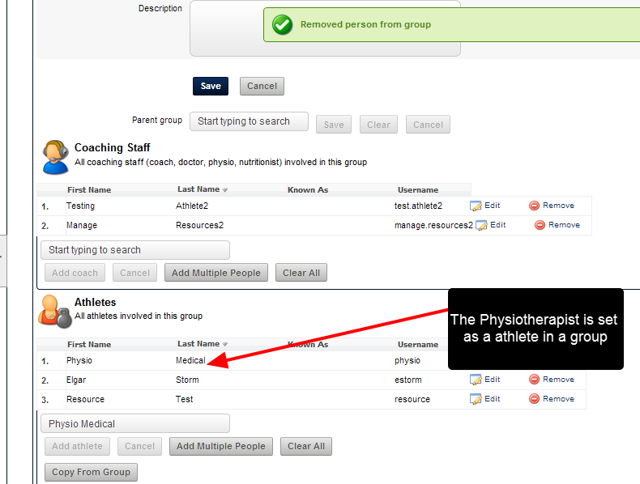 This means if ANY fields in ANY Event forms are set to Coach Only visibility or Coach only entry, then this user can actually view and enter in these fields; even though they may be on the system as an athlete in 5-6 other groups. . This field is set up to appear for Coaches ONLY and it should be completely hidden from an Athlete. However, IF you set up an athlete to be a Coach of a group, they are automatically treated as a coach. If you have a Coach set up as an "Athlete" in ANY Group at all, then they are recognised first and foremost as a Coach and they athlete only fields will not appear. These are visible only to Athletes. 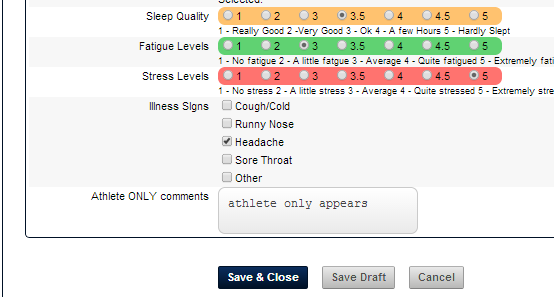 Therefore, if an athlete is set as a Coach and an Athlete they will not be able to see these Athlete only fields. N.B. 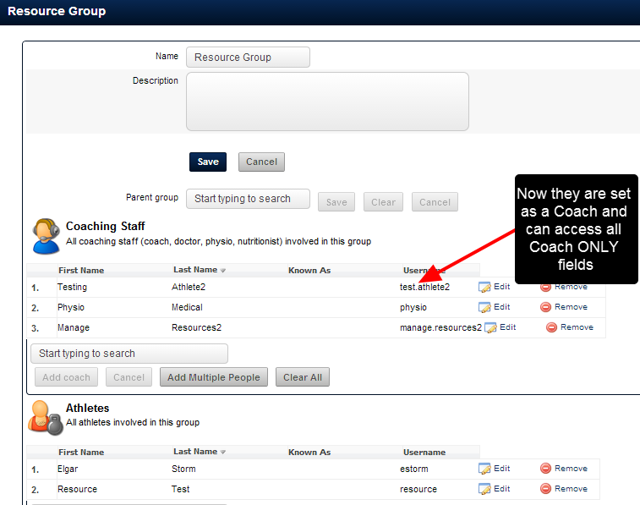 If User is set as a Coach and an Athlete of a Group, then the athlete only fields will be hidden. 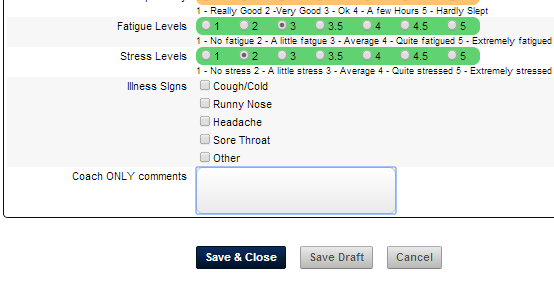 The user is recognised first and foremost as a Coach.